Windows 10 default mail allows users convenience of managing all their emails from all Microsoft as well as non-Microsoft accounts from one place. It’s a really fast email client app with easy to use interface. But if you have been having issues in opening, accessing emails, syncing emails from multiple accounts, or any other problem with the Windows 10 Mail app, then see the steps in this guide to learn how to reset mail app on Windows 10 to fix the mail not working problems. If the mail app is not working or syncing, use the instructions here to reset it to default settings to get it back to working state. 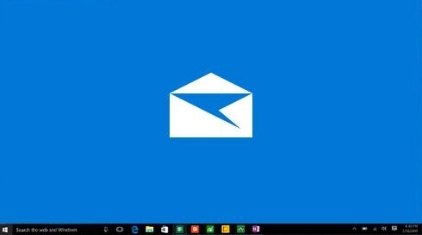 Windows 10 Mail app is simple, fast and user friendly email app. The app comes with all the basic stuff that you would expect in a top notch email app coupled with support for adding other email services such as Gmail, Yahoo, Outlook, iCloud, IMAP, POP, Exchange accounts. However, if for some reason email don’t work as expected and the mail app is facing issues such as open the app, email syncing, adding new email account, settings not applying, or other issues then read how to get it done by resetting the mail app on Windows 10. In the past, resetting default Windows apps required users to type in certain commands in the PowerShell, which was not easy for non-expert users to follow. However, new Windows 10 update allows users to easily fix issues with default mail app by quickly resetting the app without having to reinstall apps. You can use the steps below to reset both Windows 10 Mail app as well as the Calendar app. 4 – Select Mail and Calendar and click the Advanced options link just below it. 5 – Now, hit the Reset button. 6 – Click the Reset button once more when prompted. This will reset the mail & calendar apps by permanently deleting apps preferences, settings, data on them. After that you can start creating and adding email accounts once again, this time without any issue with email opening, syncing and opening the app. 3 Best Calendar Apps For Windows 10. How To Disable Automatic Drivers Installation On Windows 10.